Our Strength - Caring, Committed and Competent Faculty. Teachers are the makers of society. They are the motivators, guides and the lodestar that help the students steer their careers to success. 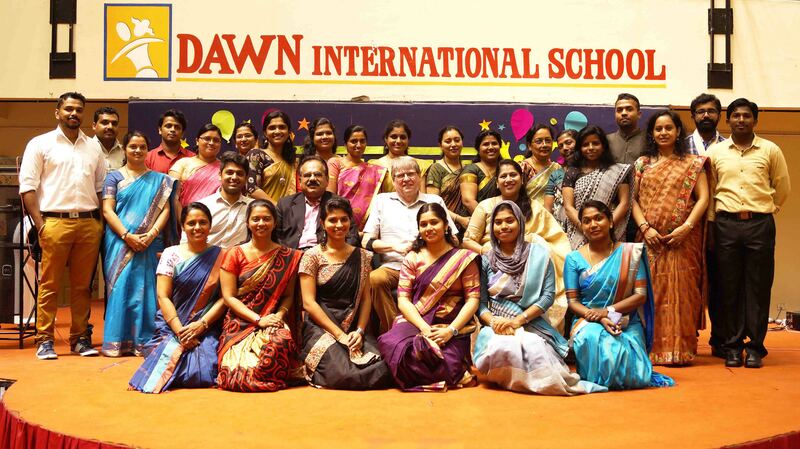 Dawn International School has an extremely qualified and committed faculty enriched and experienced in International educational systems in India & abroad and is highly committed to staff development through a wide range of training programmes and workshops, that achieve professional enhancement. They are dedicated professionals who work together as a team to ensure that the highest quality of education is delivered to the students. What is also unique at Dawn International School is that our teachers are also mentors, philosophers and guides leading the children to the path of success and helping us to achieve the dream of making our students global citizens. Residential Staff - Residential academic faculties and essential administrative staff are accommodated in the school hostel, so that they are available to support and guide the children.